Golden Eaglets coach, Manu Garba believes Kelechi Iheanacho can solve the striking problem of the Super Eagles if giving the opportunity. Iheanacho scored a magnificent goal in the team’s 1-0 win over Tanzania in Saturday’s dead rubber 2017 Africa Cup of Nations qualifier at the Akwa Ibom International Stadium, to send the cheering crowd into wide celebration. Garba tutored Iheanacho at the U-17 level where the team won the U-17 World Cup in United Arab Emirates in 2013 for the fourth time and insisted that the Manchester City’s striker could fit into the striking position for the senior national team if giving the role to play. 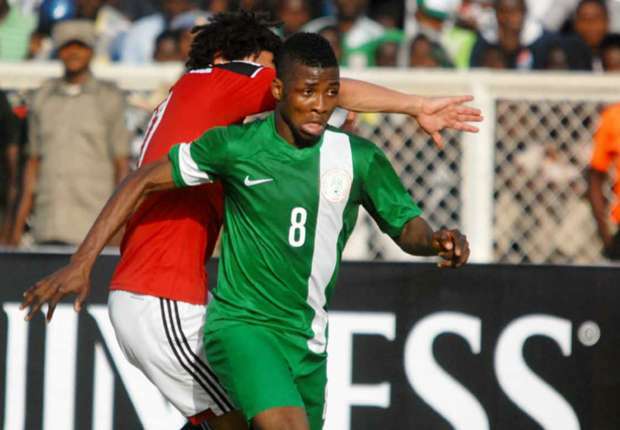 “I am not too surprised that Iheanacho scored against Tanzania because he has always shown the hunger of goal scoring. I believe he can solve Super Eagles attacking problem if given the chance,” Garba said during a radio interview. The Super Eagles have often struggled to discover a striker that can deliver the goals just like in the days of late Rasheed Yekini and Garba revealed that Iheanacho has what it takes to excel in the Super Eagles for a very long time in terms of goal scoring because he possessed that hunger for success regardless of his age.